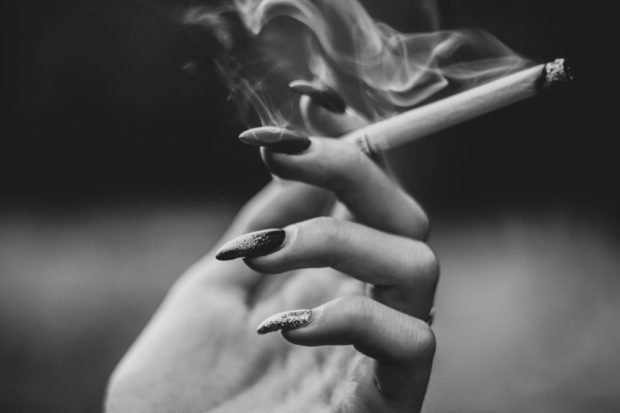 According to the Centers for Disease Control and Prevention (CDC), smoking is the number one cause of preventable deaths in the United States (1). When one smokes, chemicals are released into the body and these substances can cause damage to vital organs such as the lungs and the heart. With smoking-related deaths being 1 in 5 deaths each year, it’s no wonder that quitting the habit is regularly encouraged. Thankfully, it seems that people are beginning to get the message, as there’s been a decline of cigarette smokers in the past few years. 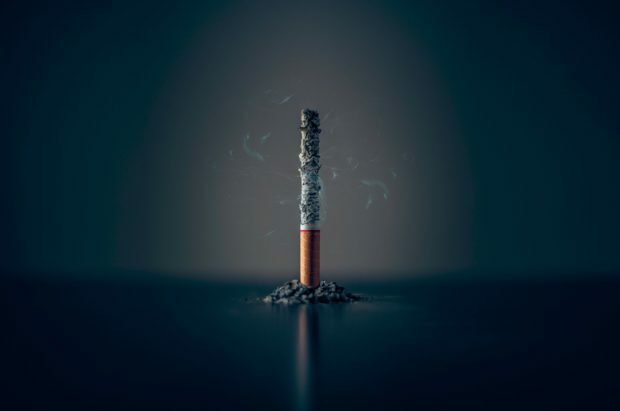 As mentioned, smoking can cause an array of health complications in the body which is why it’s important to kick the habit if you’re a smoker. Since nicotine is quite addictive, quitting cigarettes can be quite a challenge. However, once you decide to quit, the body will start to heal itself and you’ll begin to experience wonderful health benefits such as the ones listed below. Smoking raises blood pressure, heart rate, LDL cholesterol and the risk of blood clots. In doing so, smoking greatly increases the risk of heart disease. In quitting the habit, you’ll decrease the risk for cardiovascular disease and thus protect your heart health. In fact, just 20 minutes after your last cigarette, your heart rate actually normalizes. Following a few months after your last smoke, your circulation will improve and your blood pressure and LDL cholesterol will both be lower. Additionally, a year after your last cigarette, your risk for heart disease will have decreased by half of what it was. If you continue to go cigarette-free for 15 years, your risk of heart disease will now become the same as someone who’s never smoked. Furthermore, your blood circulation will also improve, which will serve to make physical activity much easier. Once you quit smoking, you’ll begin to breathe much easier. Quitting smoking will allow your lungs to recover and this will significantly improve your breathing as your lung capacity will improve. This will also make it easier for you to engage in strenuous activities such as exercise. You may also notice that you’re coughing more but this is no cause for concern. The reason is that the lungs are actually clearing out all the mucus and toxic substances that smoking created. As your lungs heal, its cilia will be able to recover. These structures are responsible for protecting the lungs from infections by moving bacteria and other debris out of the lungs. 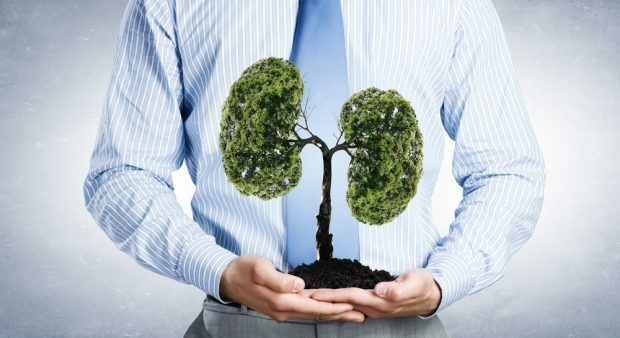 As a result, you’ll notice a decrease in lung infections because the cilia are now able to effectively do their job. However, it is important to note that, depending on how long you’ve been a smoker, some lung damage may be irreversible. 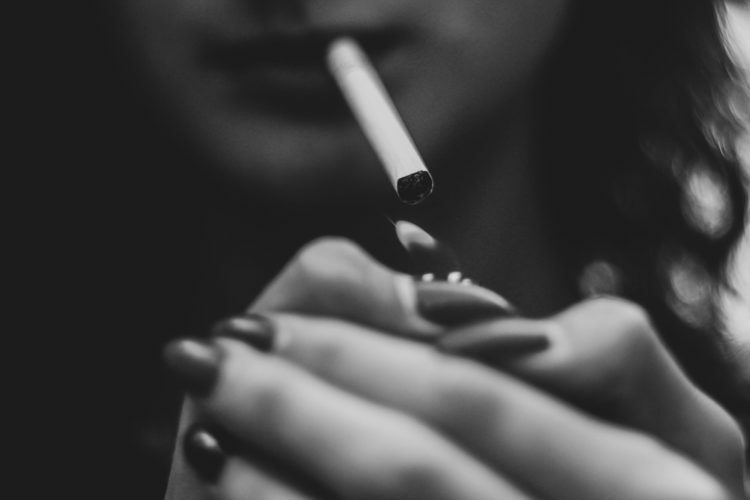 The longer a woman smokes, the higher the risk of fertility problems such as delayed conception, damage to egg DNA and even an ectopic pregnancy. Quitting smoking can improve your fertility and reduce the risk of pregnancy complications. 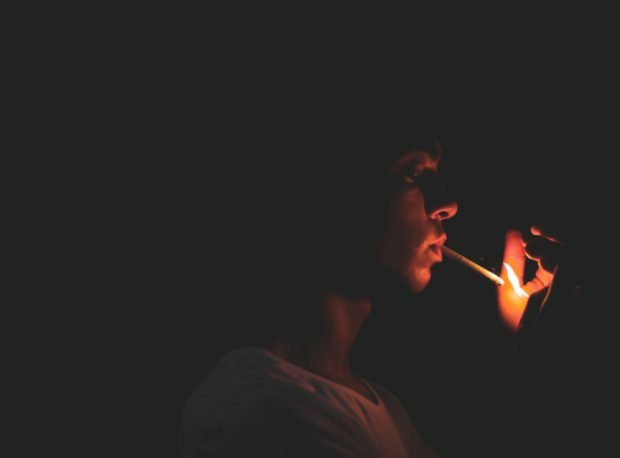 Smoking is often seen as a way to alleviate stress, yet quitting the habit may actually serve to improve your mental health. 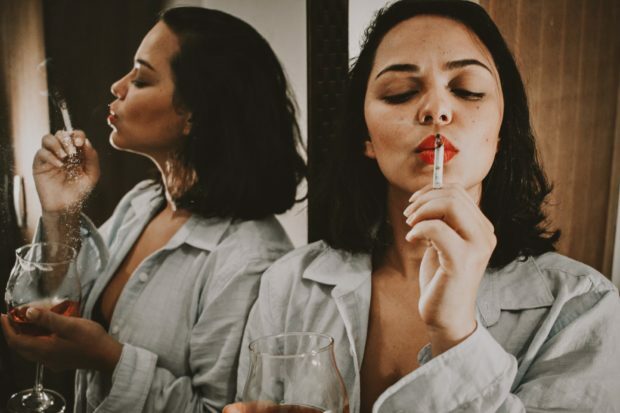 According to a study published in the British Medical Journal, quitting smoking helps to improve your quality of life by reducing depression, anxiety, and stress. Carbon monoxide is a chemical found in both cigarettes and car exhausts. The mere fact that the compound can be fatal in high doses begs the question why anyone would willingly ingest it into their system. When you smoke, the carbon monoxide enters the body, where it prevents oxygen from entering the lungs and blood. This action then hinders the amount of oxygen that the tissues and brain muscles receive, which can potentially damage brain cells. Also, the heart will have to work twice as hard in order to ensure that the body receives enough oxygen. Once you kick your smoking habit, the carbon monoxide in your blood drops and the blood oxygen increases. The improved circulation and improved oxygen levels will serve to strengthen your immune system, which will help your body fight off infections and diseases. In addition to the smell, smoking can yellow your teeth as well as increase the risk for oral infection. Quitting smoking will not only have the yellow stains fade, but you’ll also reduce the risk for oral infection. Not only do cigarettes contain more than 60 harmful cancer-causing chemicals, but smoking is the root cause of over 70% of lung cancer deaths (2). The more time that passes since your last smoke, the lower your risk for cancer becomes. Quitting smoking reduces your risk of bladder, cervical, esophagus, lung, mouth and pancreas cancer. Twenty years following your last cigarette will have your risk for lung cancer will be the same as someone who has never smoked. Smoking doesn’t just affect your heart and lungs, but it also compromises your sense of smell and taste. Smoking damages the nerve endings in both your nose and mouth and tobacco can also affect your taste buds. This then dulls your taste and smell. However, within two days after kicking the habit, the nerve endings will begin to heal and you’ll notice that your senses of taste and smell has become sharper. While it is important to quit smoking, the addictive properties of nicotine may result in one experiencing withdrawal symptoms. These symptoms include headaches, nausea, mood swings, constipation, depression, irritability, difficulty concentrating and an increased appetite. It’s important to remember that these side effects are only temporary so you should try to resist the urge to light up a cigarette. Vaping may be seen as a healthier alternative to cigarette smoking, yet it can still be quite detrimental to your general health. Click here to find out how vaping could potentially be damaging your DNA.